It's that time of the year again, Summer just arrived in the Northern Hemisphere! Actually, the Summer Solstice began earlier this week, and the Fourth Of July holiday celebration is just around the corner in the United States. One of the first things I think about when I think about Summer is warm nights, with a cold drink, and some super-tasty Barbecued food!!! 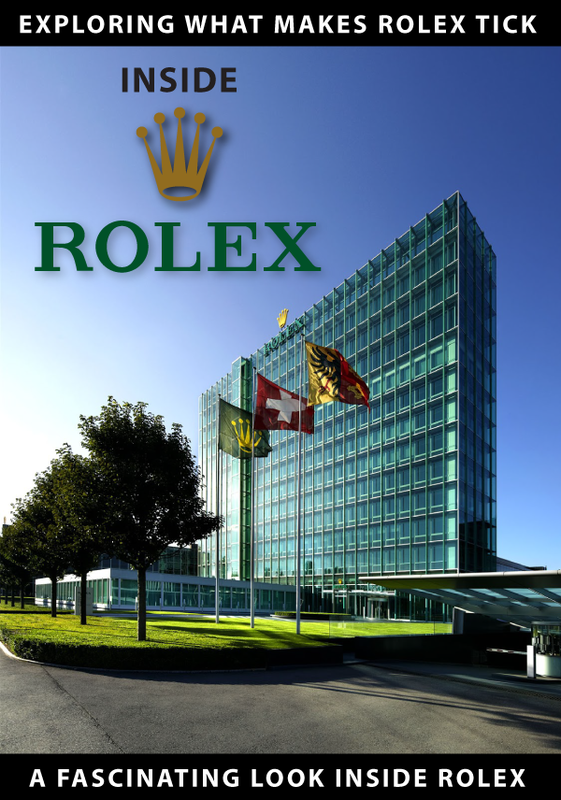 Ever since I can remember, I have always been fascinated, if not obsessed with finding the best products in the world—which is why I LOVE Rolex ;-). Over the decades I have developed a strong habit of listening carefully whenever somebody is complaining or praising something passionately. This habit of being empathetic, has served me well as a designer. 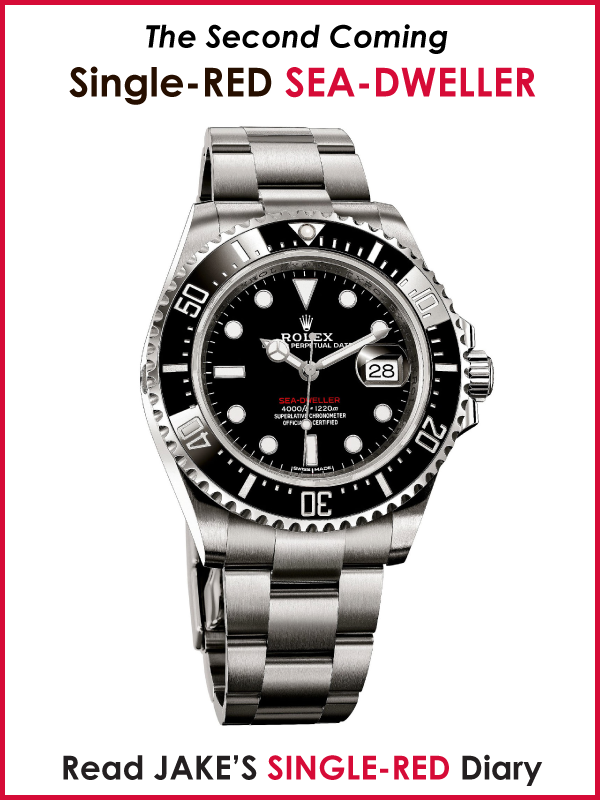 My Quest For The Best lead me to purchase my first Rolex Submariner watch—35 years ago—when I was 16 years old. 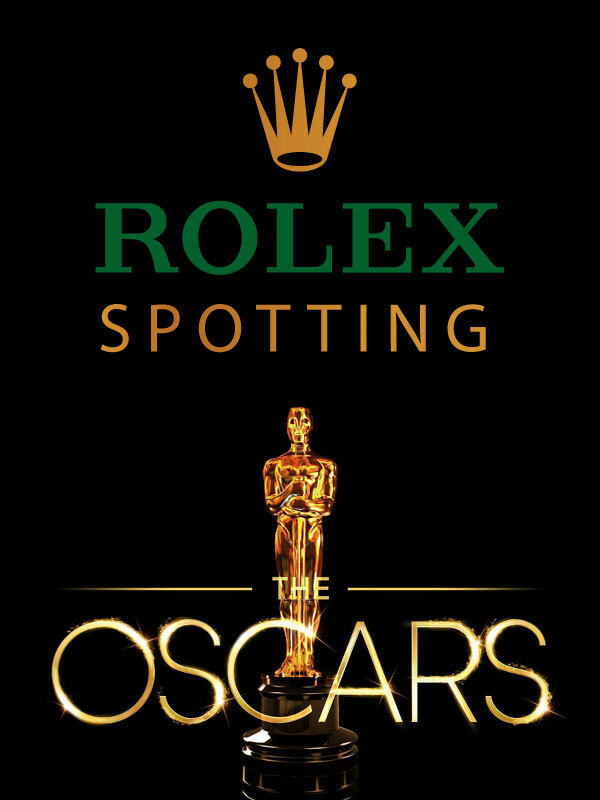 I was so blown-away by the build-quality of my first Rolex, it inspired me to appreciate fine detail even more, which ultimately lead me into a career as a designer. Over the past four decades I have designed everything from clothing, to furniture, to computer hardware and software, and even accessories for Apple products. As a result, I have developed quite a skill for seeking and finding the best products made, which typically offer the highest level of build-quality and innovation. 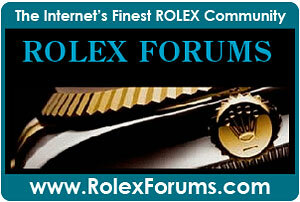 As a result, it has been typical for friends to seek my opinion before making major purchases on all kinds of things. This inspired me to start a this series of reviews titled, "Jake's Quest For The Best." 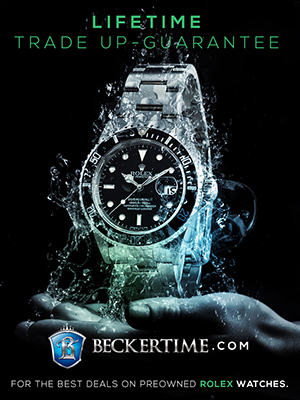 With this new review series, I will be reviewing all kinds of different products, and reporting on my findings, much in the same way I research and write about Rolex history, and watches in general. My goal, is to write detailed, meaningful reviews that are highly educational, insightful and inspirational—reviews that genuinely help people in making smart purchase decisions. The criteria for Jake's Quest For The Best is that I only review products I want, need and use myself. 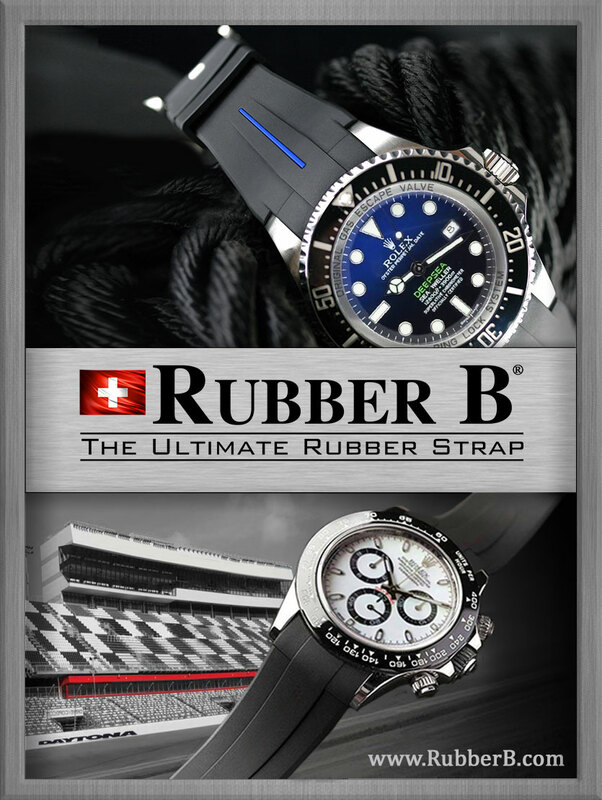 These products have to basically adhere to the highest standards, just like a Rolex, in the sense, they look great, and most importantly, function flawlessly, and require little mainatinace. In other words, they must be timeless in design, built-to-last, and thus, defy and Transcend Obsolescence. As Frank Sinatra once said, "Good things endure." I am excited to begin my review series with my quest for the best barbecue. On a side note, I plan to start an online magazine in the future dedicated to just reviews of great things. 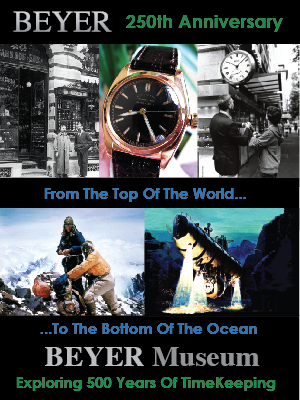 Of course, I have been writing about things I am passionate about on Jake's Rolex World in the past, like iPhones, iPads, and Apple Computers, but in the future I plan to go far beyond just tech, and review all kinds of interesting things. I am going to begin with my conclusion in this article: I believe, from all the extensive research I have completed, the Memphis Wood Fire Grill is by far and away the best Barbecue money can buy. I would go so far as to say, Memphis BBQ is the Tesla of BBQs, in the sense its super-innovative technology completely leapfrogs everything made today. Also, like Tesla, Memphis Wood Fire Grills are Made in the USA. Basically, using a Memphis Wood Fire Grill feels like you got in a time-machine and went 25 years into the future and got the best BBQ money could buy, and brought it back to the present. 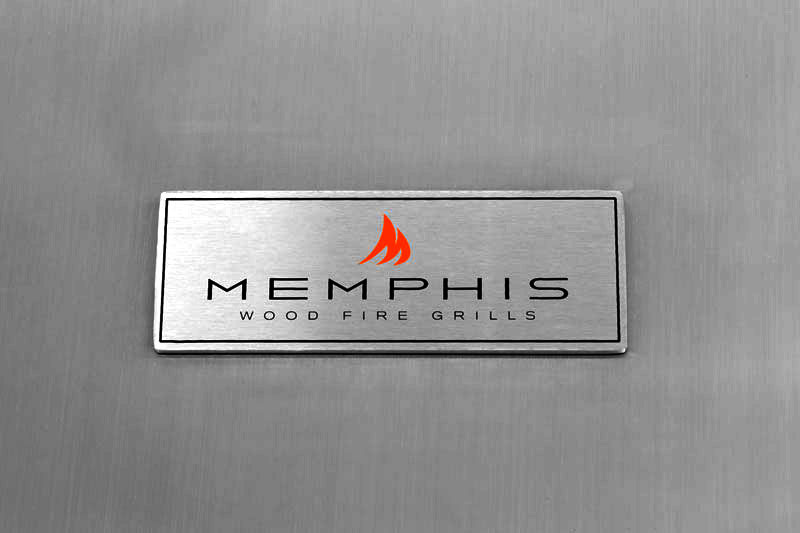 The Memphis Wood Fire Grill is a little different in that it uses wood pellets to cook food, as opposed to using propane gas, natural gas, or coal. Cavemen cooked with wood, so in many ways cooking with wood pellets today, represents a back-to-the-future approach. This ironically, is one of the many reasons I say the Memphis Grill is the Tesla of Barbecues, in the sense that many of the original automobiles made in the early 1900s ran on electricity, and not on gas. The Memphis Wood Fire Grill is fueled by, and runs on wood pellets, and requires a 110 electrical outlet. 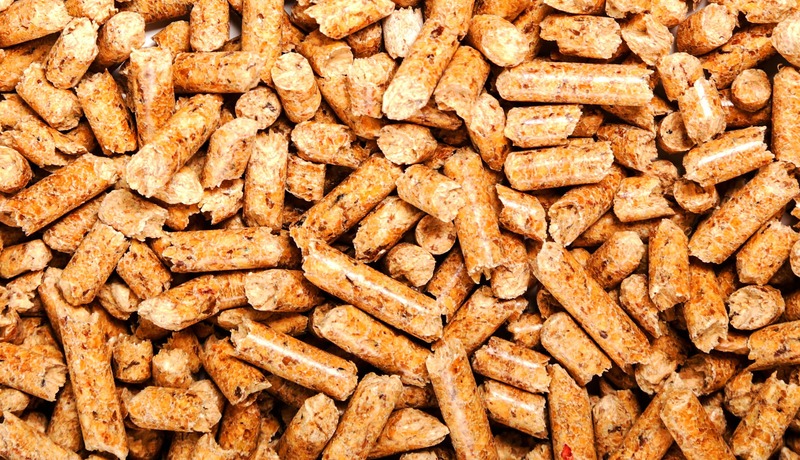 What are wood pellets, and where did they come from? Wood burning pellets came about during the 1973 Oil Crisis which lasted from October 1973 through March of 1974. The Oil Crisis caused people to seek alternative sources of fuel for things like home heating, and one option was using wood pellets, which were made from compressing sawdust into small hardwood capsules that could be used in pellet-burning furnaces. These wood pellet furnaces were popular in the American Northwest, and there was a heating company in Oregon State that was owned by a man named Joe Traeger, who sold and experimented with pellet-burning furnaces. In 1985, Joe Traeger was barbecuing chicken on the 4th of July, and stepped away from his barbecue for a few minutes, and when he returned, its flames were burning out of control. He responded in frustration and kicked the barbecue over! At that point Joe became obsessed with figuring out how to build a much better, more consistent and dependable barbecue. Joe kept thinking about classic offset smokers, which used a drum barrel body, and figured out how to build a grill that ran on food grade wood pellets, and used a simple three-position temperature control switch. So basically, Joe Traeger invented and pioneered the Wood Burning Grill, in 1985, when he experimented with taking wood pellets used in a wood burning stoves and furnaces, and put together a barbecue grill that ran on these same pellet—opposed to being fueled by Gas or Charcoal Briquets. In 1986 Traeger patented the Wood Pellet Grill. 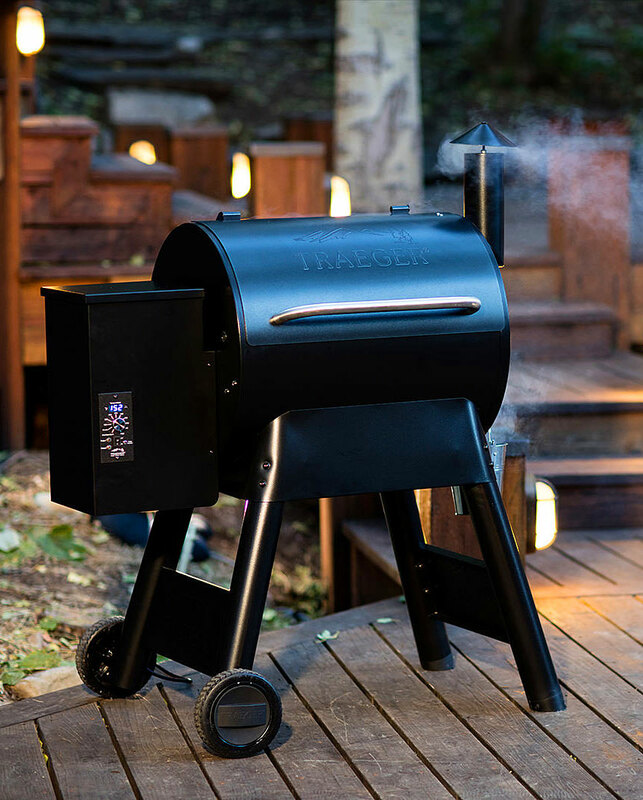 The food-grade pellets Joe Traeger used, were not only a great and consistent fuel source, but they also naturally enhanced the flavor of the food being grilled. A few years ago, I was at a friends home and they had a wood pellet grill made by Traeger, which looked like something you would expect to find in the Beverly Hillbillies, or Fred Flintone's back yard. My friends were talking about how great their Traeger grill was, so I took an interest, and began asking questions. I asked them, what was so great about their Traeger wood burning grill. My friend said, "It is super-easy to use. All you do is set your target temperature, and hit the on button. Also, the food tastes great, as it takes on the flavor of the wood pellets, as opposed to using gas, which gives meats a gas-like taste." I was naturally curious, and kept asking my friend questions about how it worked. She showed me the Auger, that moved stored wood pellets from the hopper into the fire pit. About a half hour later, I had a burger made from the grill, which I was not impressed with. It tasked O.K., but by the time I got my burger together it was already kind of cold, and I did not notice any kind of great taste, which she had mentioned? Basically, I dismissed her enthusiasm as being symbolism over substance. About a year ago, I decided I wanted to buy an outdoor barbecue for my family, so I did a ton of research, and picked out what I thought was the best gas barbecue made. Of course, I went with gas, as charcoal is a complete pain to ignite and clean. I had probably invested about 100 hours researching the best gas barbecue. 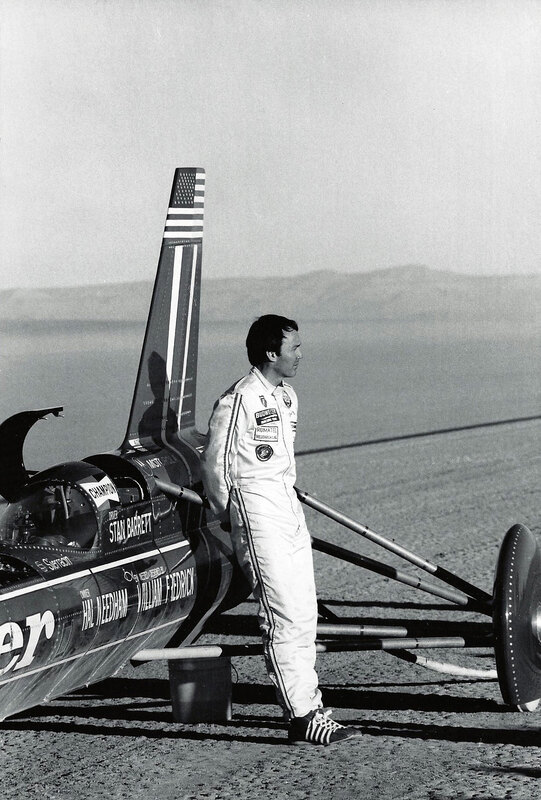 Just as I was getting ready to make my purchase, I ended up talking on the phone with my great pal, Stan Barrett, who is known as The Supersonic Speed King. 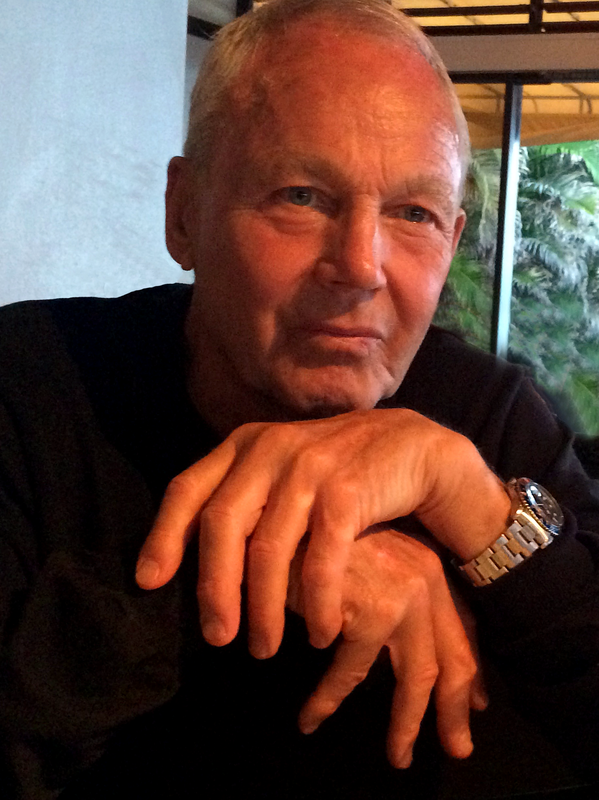 Stan Barrett is pictured below in a recent photo, wearing his stainless steel Rolex GMT-Master. 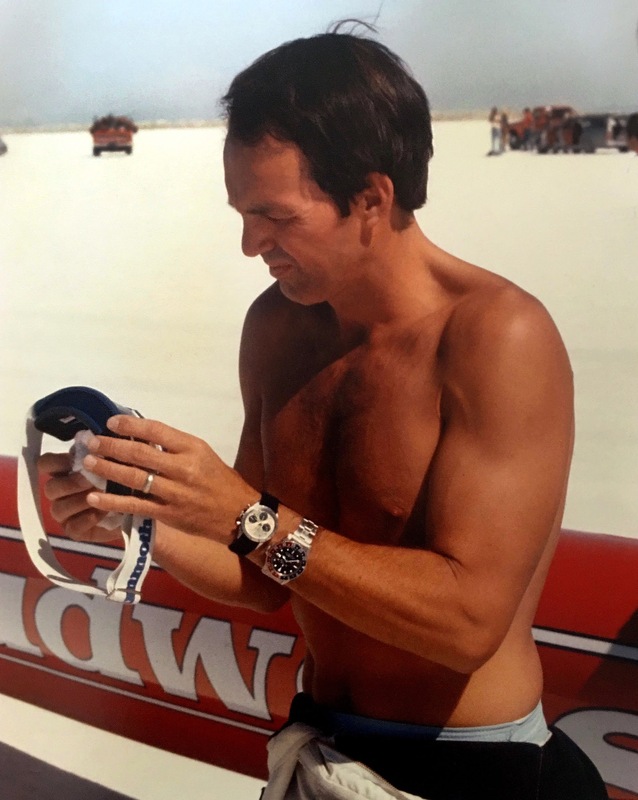 Stan Barrett is pictured below as he prepares for his record setting drive in the Budweiser Rocket in 1979, and notice he is wearing a Rolex Daytona that his best friend, Paul Newman gave him as a good luck charm before he drove his rocket car into the history books. So what does Stan Barrett have to do with my quest for the best barbecue? I was talking to Stan on the phone, and I asked, if he knew anything about who might make the best gas barbecue. I was shocked, but not surprised at how much detail he went into. 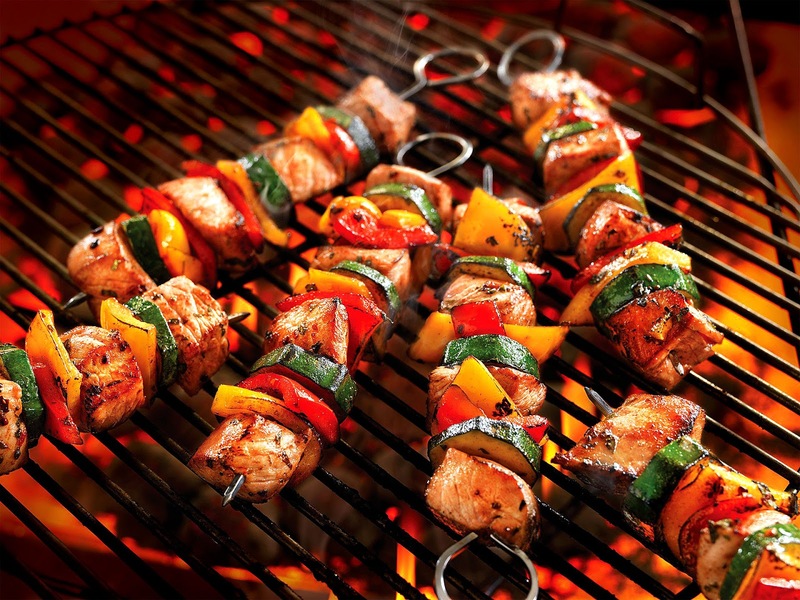 Stan said, "The best barbecues made, by a long shot, are the ones that use wood pellets." I asked, 'are you sure!?!!' Stand responded, "Oh yeah. For sure! There is no question whatsoever that wood pellet grills are by far and away the best and only way to barbecue. 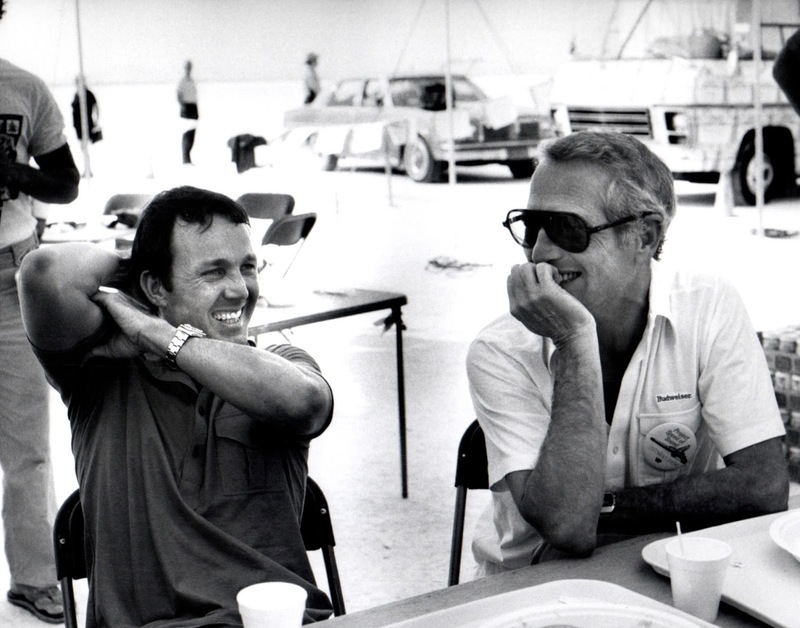 Paul (Newman), and I both agreed on this 100%, and you know Paul is regarded to be one of the top foodies in history." Stan Barrett continued, and said "Charcoal is a pain to deal with and makes a big mess with lots of smoke, and Paul and I agreed, cooking with gas ads a strange gassy aftertaste flavor to a great steak or burger. You have to go with a wood pellet burning barbecue. It's the only way to go." "Look, you didn't try it under the right conditions. Trust me, I am 100% certain, that wood pellet grills are 1000% better than gas. With wood pellet grills, there are many different types of wood pellets you can cook with, and each one offers a unique taste profile. For instance, with steak, I like to use hickory or Misquete pellets, but with chicken, I like to use Apple Wood pellets, Alder, or Misquete pellets. I love to experiment, as each gives you a different flavor profile. It's even fun to mix different flavor pellets. Another advantage with using wood pellets is you can smoke the meat, which gives it an amazing natural flavor. Also, if you end up with leftovers and you reheat them, they still maintain the great taste. You have to check out wood pellet grills.!!!!" 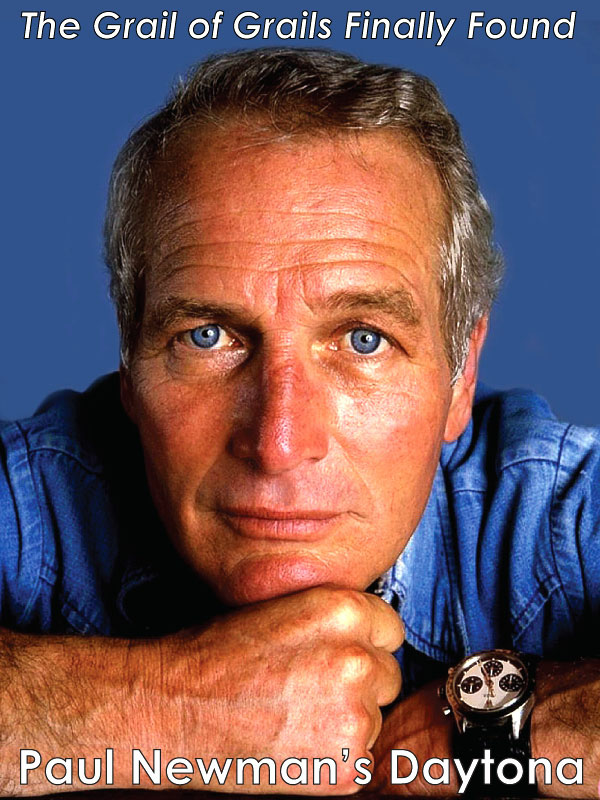 I absolutely trusted Stan's opinion, and I figured if Paul Newman agreed, I had to dig deeper, so I did. I told Stan I had seen the Traeger models at Costco, and at my friends house, and was just not willing to cook on or own something that looked like it was from the Flinstones. I told Stan I wanted an all stainless steel barbecue that would look clean and modern. Stan responded: "I am the same way. I own an all stainless steel wood pellet burning grill that is fantastic, and it is all stainless. It works great and is made by a company in the U.S., named 'Fast Eddy's Cookshack". I have a $2700 gas barbecue and a Red Egg Charcoal, but I don't even use them. I'm so in love with my wood pellet barbecue!!! It is so well designed, I can even cook two turkeys at the same time." I decided to investigate the model Stan Barrett owned, which is named "Fast Eddy's Cookshack PG1000 67" Pellet Grill & Smoker in one." It retails for around $2800, and you can see it in the picture below. The next time I spoke with Stan, he asked me if I had checked out the Fast Eddy's Cookshack Pellet Grill. I told him I had, and he asked me what I thought? I told him I thought it seemed like a fine product, but I didn't want something that had a chimney on it. I said, there must me somebody who makes a stainless steel pellet grill, that is more streamlined and modern looking. Stan said, "Look. I own the Fast Eddy's grill, and the quality and consistency is flawless. I highly recommend you get one." I told Stan I would think about it and do some more research. It took me several hours, but I finally found a company that made a wood pellet grill that was all stainless and looked great! The more I investigated and researched the Memphis Wood Fire Grills, the more blown-away and impressed I was. The model that first caught my eye, that I ended up purchasing is pictured below. The Memphis Pro is really good looking. It is so super simple, much like an iPhone, or Tesla. 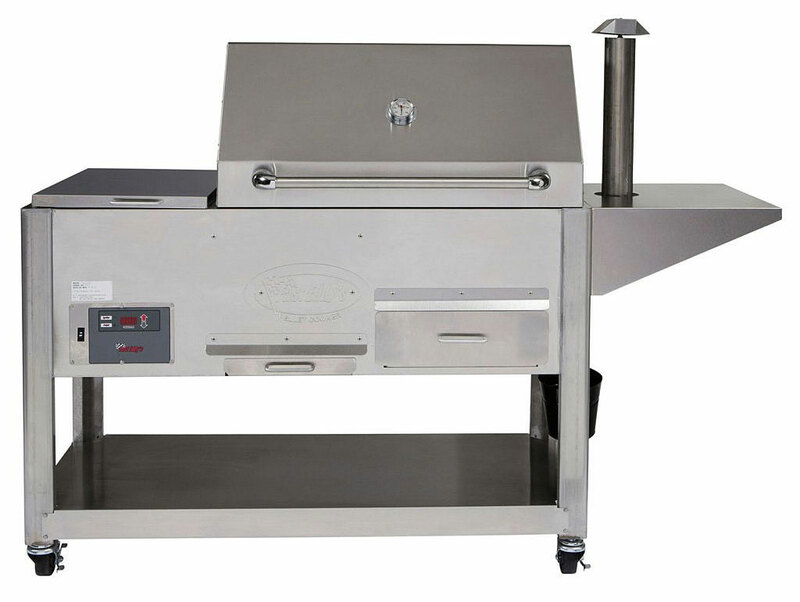 There are only several buttons on the whole grill, which is quite different from gas barbecues, in the sense gas barbecues typically have multiple knobs for controlling different gas burners. If you examine the vast majority of gas barbecues, you will notice they have cheap, flimsy, janky knobs that are typically made out of flimsy plastic. 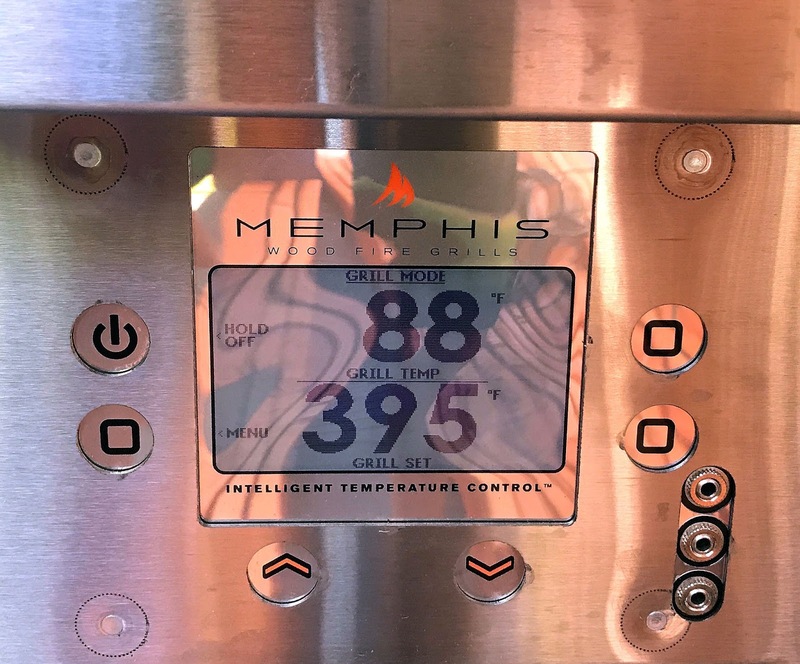 The Memphis Wood Fire Grill, conversely has a super-simple control panel with an On/Off switch, and a thermostat with Up/Down buttons as seen below. The photo below was taken just after I turned on the Memphis, and the 88F number is the internal temperature, and 395F is the target temperature. It typically takes approximately 5 minutes to reach the target temperature. So basically, the Memphis Pro works much more like an Convection oven, where you set one temperature, and once it reaches that temperature, it maintains it. Contrast this with gas barbecues, which are much more like using a cooktop, that has 4 to 6 burners, which each have to be individually turned on and controlled. One of the most valuable features of the Memphis Wood Fire Grills is the ability to cook at exact temperatures. 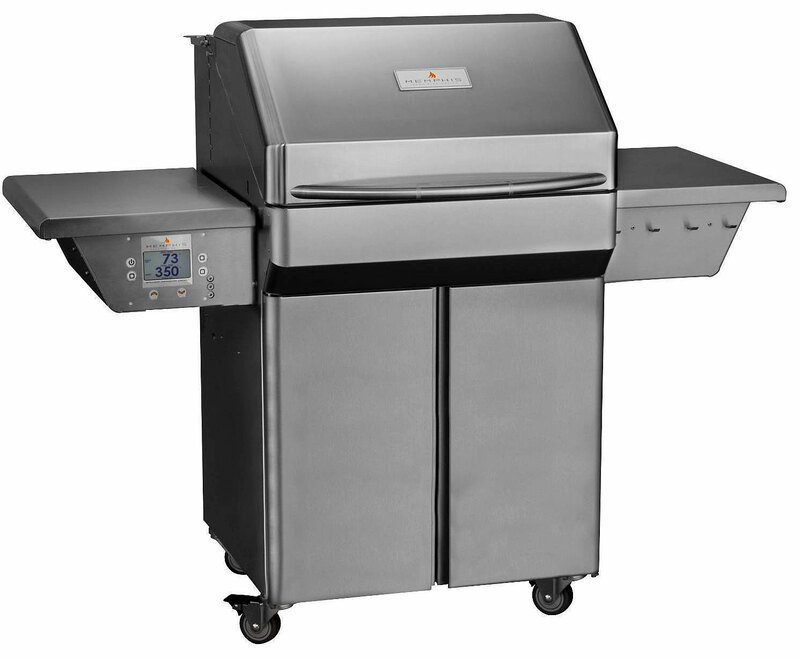 With a charcoal grill you the user has very little control over temperature control, and with gas, there are typically only Low, Medium and High settings. The Memphis Wood Fire Grill, on the other hand, provides very precise control, where you can control it within 5 degree increments that can range from 180 to 650 degrees Fahrenheit. This precision internal temperature control relies on an ITC (Internal Temperature Control) module, which uses an high-precision internal thermal sensor. The ITC varies air and fuel rates based upon the set point in order to accurately maintain consistent internal temperature. The Memphis Pro is literally built like a tank. 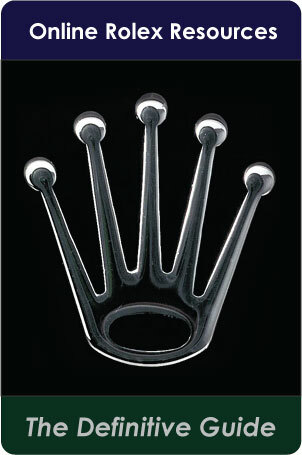 Memphis offers it in two different types of stainless steel. Both types of stainless steel are provide double-walled insulation, which translates into being far more efficient as less heat can escape. The standard Memphis Pro comes in 430 sealed stainless steel, which is great if you live inland in a drier climate like in Arizona or Las Vegas, where you are not close to the ocean. 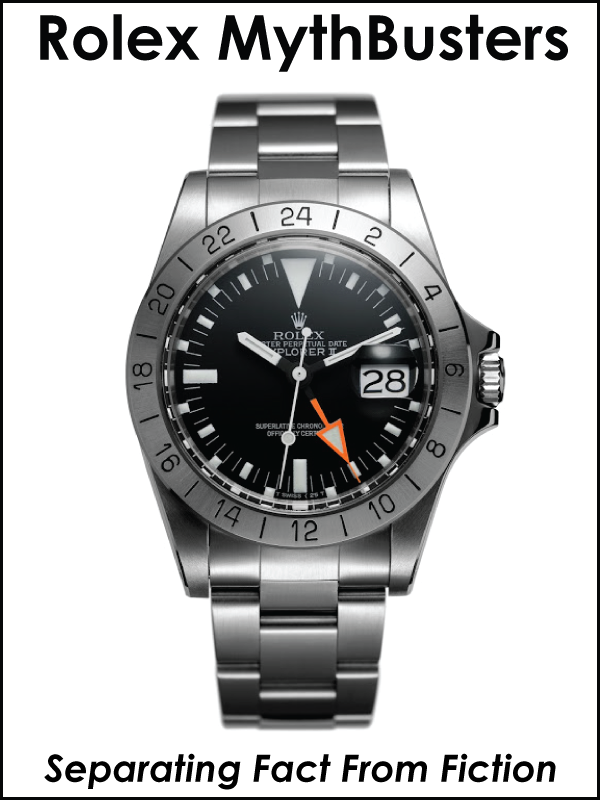 Memphis also offer an upgraded model made from 304 steel, which is good if you live in a costal climate. As I understand it, 304 steel is completely rustproof. I must have looked at over a hundred different barbecue models and there is one key characteristic that I always look at, which is really important with a stainless steel barbecue, and that is build and material quality. With material quality, the question is what percentage of the barbecue and stand are made from high-quality solid stainless steel? This is the place where most barbecue manufacturers skimp or cut corners to save money. Originally, I thought to purchase a major famous name-brand Barbecue, then I noticed that many of the parts on it were made from metal that was NOT stainless, or from what appears to be aluminum. When I did a web search, and read reviews, I learned of many people complaining about how after a few years, many parts of the barbecue would rust out, particularly the walls of the stand would get covered in rust. On a side note, I noticed that most of the new 2017 Weber models eliminated the walls on the stand altogether. I also noticed that on many manufacturers models, that look like they are stainless steel, they don't use stainless steel on the left and right side of the barbecue lid. Instead, to save money and cut corners, they use alternative materials that look and feel cheap. So let's get back to Memphis. From all my detailed evaluation, and from talking with Memphis, all their models are intentionally over-engineered—like a Rolex. Memphis Wood Fire Grills are not only built to last, but they go out of their way to take a belt and suspenders approach to engineering and build-quality. Their entire lid structured is all-stainless steel in construction and double insulated, which makes it look and feel very sturdy. Using this type of construction also allow it to retain heat much better than a single walled hood. This is a very important point, and touchtone quality feature. In other words, I highly recommend when you evaluate an barbecue grill carefully study its hood construction, and make certain it is insulated with double wall construction. There are basically three different methods for barbecuing: A Wood pellet oven is like an oven you would find in high-end restaurants that have wood fueled pizza ovens. Wood pellet ovens are similar in many ways to traditional barbecues, but differ in a few ways. First of all, wood burning ovens maintain the same level of heat throughout the oven, so if you cook a burger on one of the top racks, it should cook at the same rate as cooking on the larger standard base cooking surface. Also, wood pellets have the advantage of being quick to heat, compared to charcoal fueled barbecues. 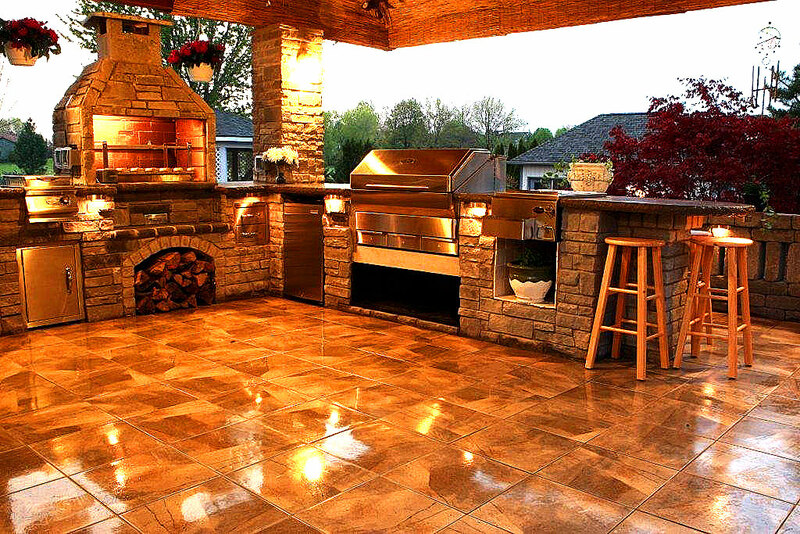 This is really where a wood pellet barbecue shines! The flavor is really amazing and all-natural, in a caveman kind of way. Every time we cook on the Memphis, when we have guests, they can't stop talking about how amazing the flavor is. The barbecued food takes on the taste characteristics of the type of wood pellets you are cooking with, and give the food a very natural tasty flavor. My favorite is Miscquette pellets. This is a really interesting story. When I received my Memphis Barbacue, I studied its construction carefully, and was stunned with how precisely it was designed and assembled. I could not help but notice the amazing level of engineering and precision that was evident in the Barbecue. I remember thinking to myself, how could a company that I have never heard of before, that is not a household name, appear from out of nowhere, and make high-end barbecues that look like they were made by Apple or Tesla? 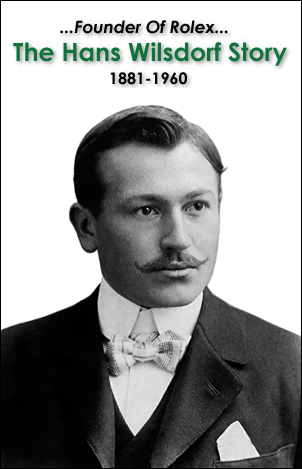 It turns out, Memphis was founded as a division of a company named Dalsin Industries, which have made and worked with sheet metal for 75 years. Dalsin is one of the largest sheet metal manufacturing businesses in the United States, and has historically worked as precision metal manufacturing OEM (Original Equipment Manufacturer). It turns out, the folks at Dalsin Industries, decided one day they thought they could reinvent the barbecue as we know it, by incorporating all their metal engineering expertise and knowledge, and that is exactly what they did when the formed the Memphis Barbecue company. Wood burning pellets are the most environmentally-freindly grilling and smoking method. Wood pellet grills use a minimal amount of electricity (running on traditional 110 Household current) to control the burning of the wood pellets, which makes them the most environmentally friendly grill choice. Using wood pellets as a fuel source is superb as the pellets are made from hardwood chips and compressed sawdust, thus, they use resources that would normally be wasted. Also, the wood pellets have zero chemicals, so they burn cleanly, with minimal ash. Compare that with burning charcoal which releases VOC's (Volatile Organic Compounds) into the atmosphere, which contribute to things like smog. Memphis has a great blog post on Grilling Environmentally that I recommend reading. Most barbecues are difficult and confusing to operate, as well as being difficult to clean, and this is where the Memphis barbecues shine. There is no lighter fluid, lighters, or gas involved in using a Memphis Wood Pellet Burning Grill. Just and On/Off button, and a temperature setting Up/Down Button. In the future, I plan to do a detailed video review of the Memphis Grill, and in the meantime, below is a superb review by Steven Raichlen, who happens to be rockin' a cool Panerai Radiomir. In my opinion there is not much room for improvement with the Memphis Wood Fire Grill. The only constructive criticism I can think of, is that I would love to see them build in LED lights into the barbecue so that when you are barbecuing at night, if it is dark you can still see really well. Also. the Memphis ships with a protective blue film covering practically every inch of exposed stainless steel. I am pretty certain they ship it this way to protect the grill from scratching, but beware, it took me over an hour to remove all the film, and it was not easy. I think Memphis should figure a way to ship it without the film, as it is frustrating to remove, and you have to remove the film before you use the grill for the first time. Memphis warns you in the instructions that if you don't remove 100% of the semi-clear blue film, before you first use the grill, it could melt, and become really difficult to remove. Also, Memphis' instruction manual could and should be improved. Don't get me wrong, their manual is O.K., but I think they could improve it significantly and I think that since it is relatively expensive at around $3,600, it should come with a nice Memphis Wood Fire Grill Cookbook, as well as with a nice set of Memphis barbecue cooking tools. I also think Memphis should do more to build-up its online how to video library. If it seems like I am nitpicking, I am. The Memphis Pro is an amazing work of art. 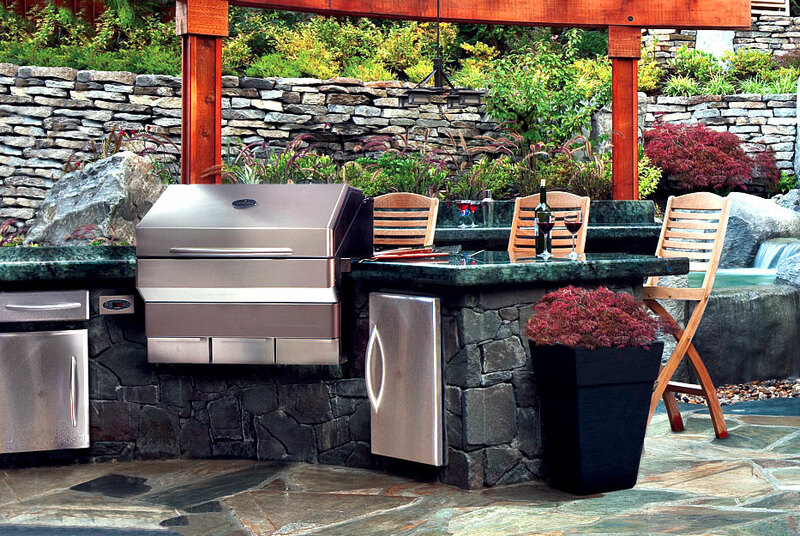 I almost forgot to mention, Outdoor kitchen are all the rage today in high-end homes, and Memphis offers their Pro Wood Fire Pellet Grills in Built-In models as seen in the photo below on the right. If I understand it correctly, they also offer a conversion kit that can later convert a stand-alone unit into a built-in unit, which offers a cleaner look. In my personal opinion, the Memphis Wood Fire Grill is the best outdoor grilling solution money can buy. Having used one for several months now, I am convinced it is an absolute work of art, and I can't highly enough recommend it. Just make certain that if you purchase one, you carefully read all the directions before you use it, and always be careful when using a barbecue. You can find out much more by visiting MemphisGrills.com, and the video below from BBQGuys.com offers a superb overview. The care and maintenance video below is from Memphis Grills YouTube channel.